Flight Centre is having a sale on flights from Montreal to various cities around the world. On *some* routes that are already at or near their typical bottom price, this does make for some pretty great deals. I'll list the destinations below that I feel are the best deals. You'll notice that Montreal is not one of the departure cities listed for the offer. However, I have been told by Flight Centre representatives that this offer is indeed available from *all* Canadian departure cities, and is valid on *all* dates (with no blackout restrictions) and on *all* airlines. Don't be confused by the limited dates or airlines shown on their offer page, these were just their examples. You should probably check out the current prices on Google Flights first before you call, and look for the cheapest date combinations and airlines involved. should then subtract $50-$100 off of the roundtrip price, depending on the destination, when you call. 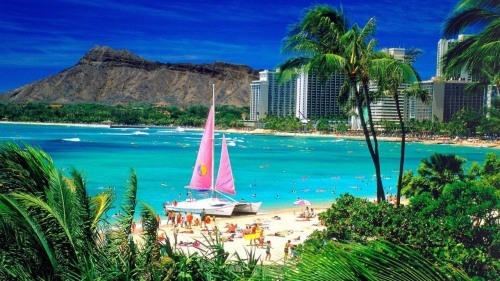 No Responses to "Montreal to Honolulu, Hawaii - $491 CAD roundtrip including taxes | 35 other destinations on sale"